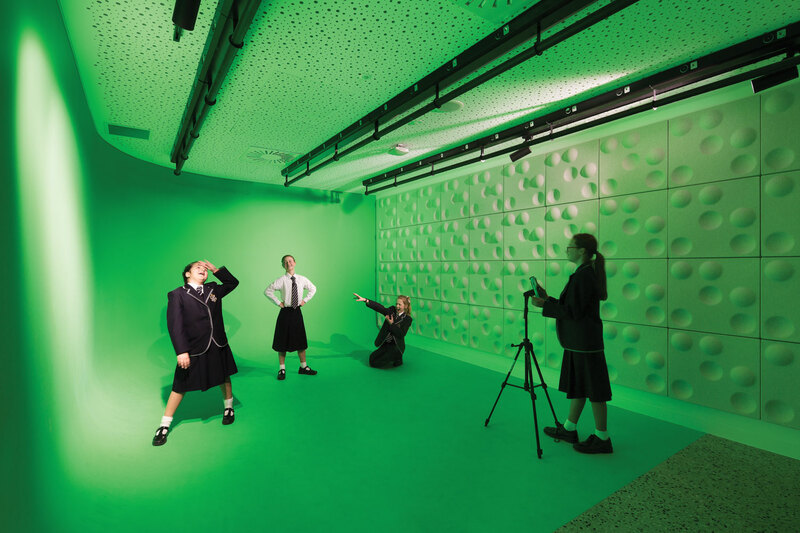 The Keith Jones Learning Centre at Mentone Grammar adaptively re-used an existing gymnasium to deliver innovative Year 5 and 6 education facilities including a film studio, technology hub, presentation and event space. The redundant single level building was transformed into a two-level facility, effectively doubling the floor area and allowing significant longevity. 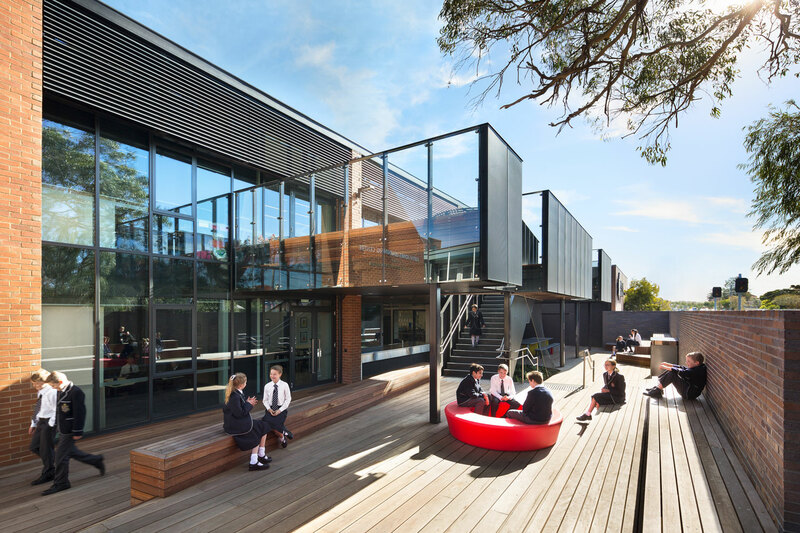 With a strong focus on student wellbeing, “hands on” and individualised learning, the project provides middle school students with learning environments that encourage problem-solving, collaboration, creativity and lifelong learning. The design responds to the challenges of contemporary education, based on a deep understanding of pedagogical thinking and its spatial manifestation. 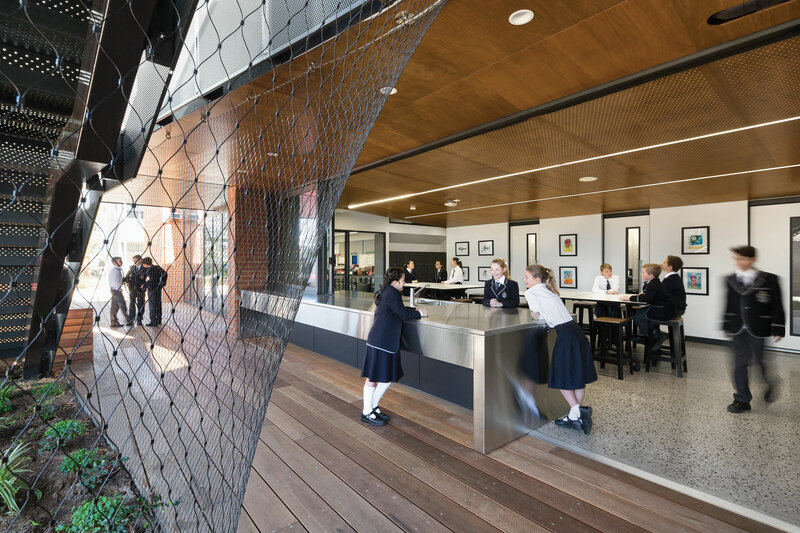 It delivers both formal and informal spaces supporting various modes of teaching and learning, ensuring that learning environments are visually connected, purposeful spaces, where students ‘own’ their learning environment. 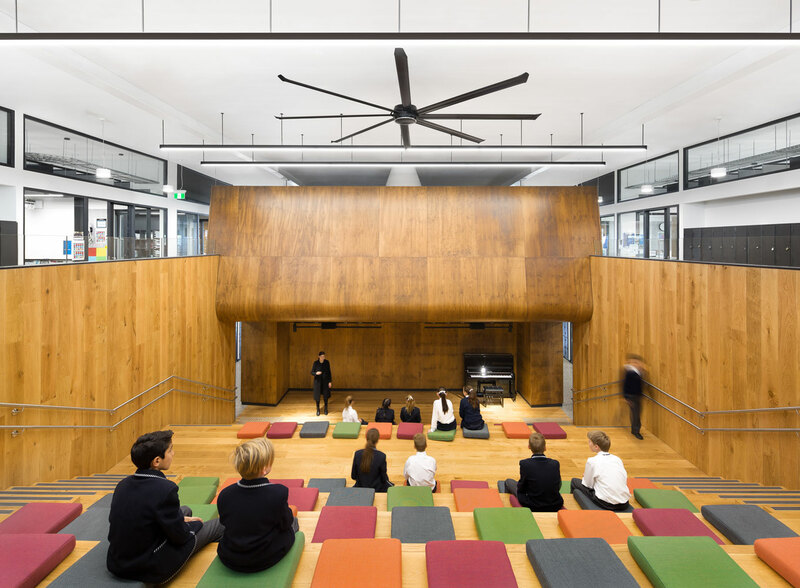 The architectural response was to retain as much of the existing gymnasium as possible. 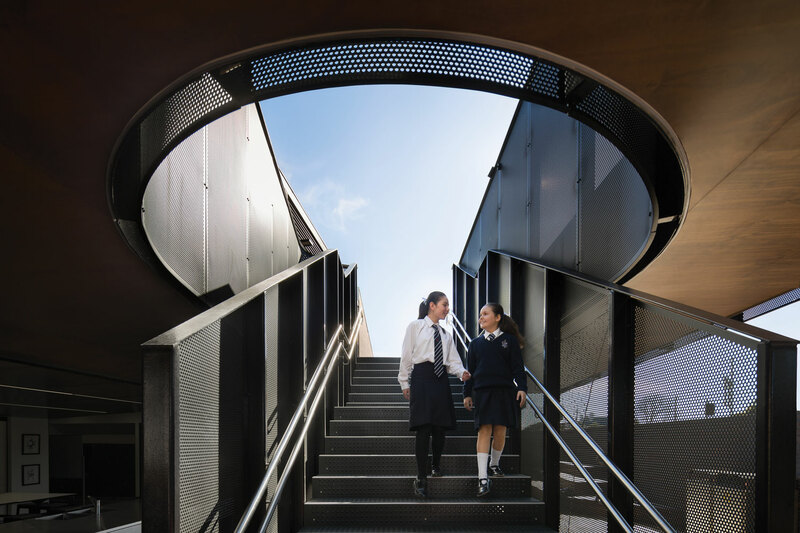 Gymnasium seating was re-purposed as tiered seating steps enabling presentations, and existing building fabric was largely retained and exposed. The new insertions within the facility integrate seamlessly with the existing built form. The technology hub incorporates a film studio, project space and food technology facilities. This space is highly visible and accessible, centrally located within the facility, as a core focus of Year 5-6 curriculum. 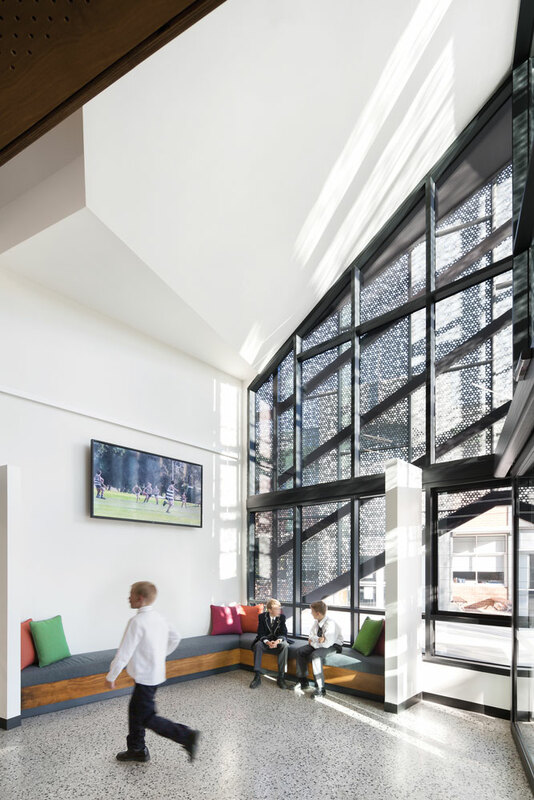 An upper floor informal learning space acts as a “central hearth” within the facility; a gathering space where groups of students can settle down, collaborate and share ideas. 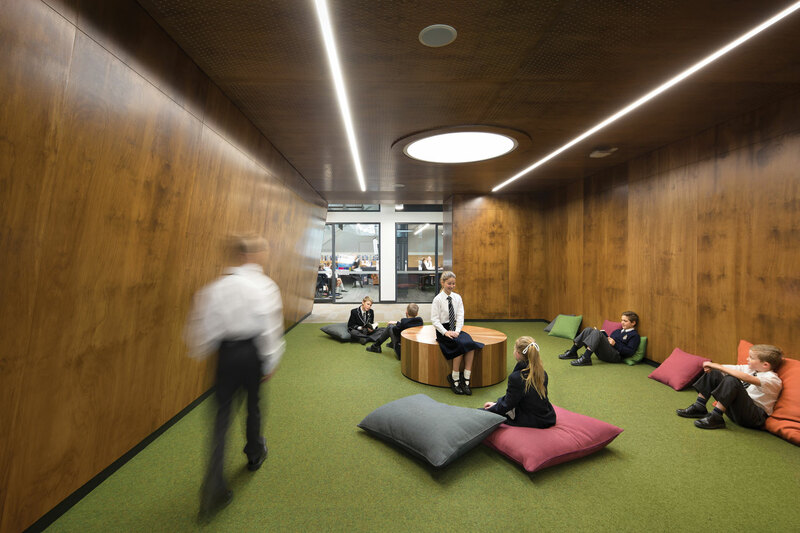 The circular setting promotes the equality of all occupants and can also act as a “mentor” space, facilitating the school’s wellbeing program. 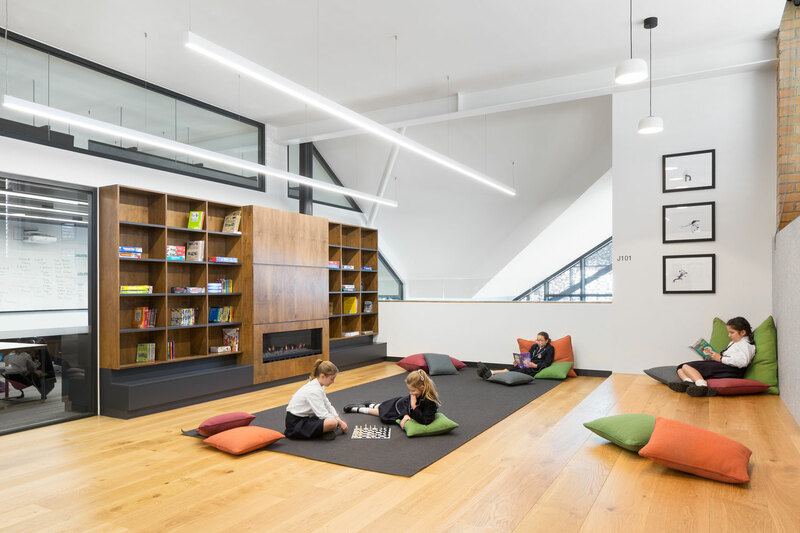 The learning and reading lounges provide spaces for students to reflect, read, write, turn new information into their own knowledge, create new ideas. 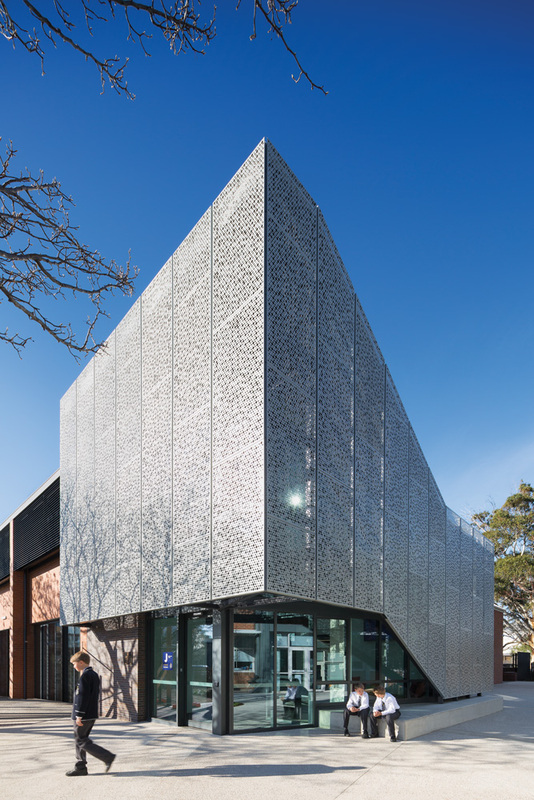 Materials including concrete, timber and powder-coated steel were selected to create an industrial look and feel with the insertion of colour in specific areas. The industrial look is emphasised by the peeling back of finishes to expose the existing building, structure and building services. This peeling back also enables the building itself to be used as a learning tool.